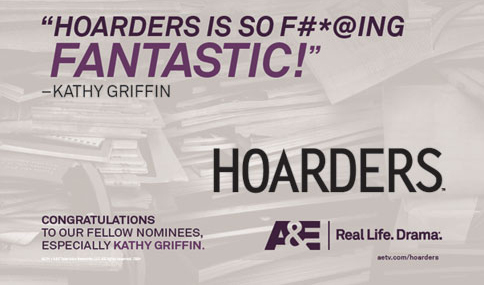 I have never seen an episode of Hoarders, mostly because I've heard it's worse than most horror movies. When you can find dead animal skeletons, thousands of old magazines and decomposed food in someone's living room, that is some scary sh*t.
Last year I went and saw the ever-hilarious Kathy Griffin perform and she had an entire chunk of her show devoted to the terrifying wonder that is Hoarders. Well, apparently someone at A&E is also a Kathy Griffin fan and they are using her words against her in this year's Emmy race. 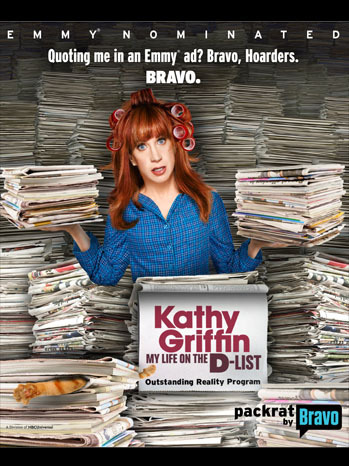 Yep, both Hoarders and Kathy Griffin: My Life on the D-List are nominated for Outstanding Reality Program in this year's Emmys. Kind of bizarre prank for a not-so-funny show like Hoarders to pull, but I appreciate it nonetheless. So how does Kathy feel about being used to support her competition? A great response that only someone with a self-deprecating sense of humor like Kathy has could pull off. I'm sure this will make her next standup special—another tale in her long list of "D-list" insanity. 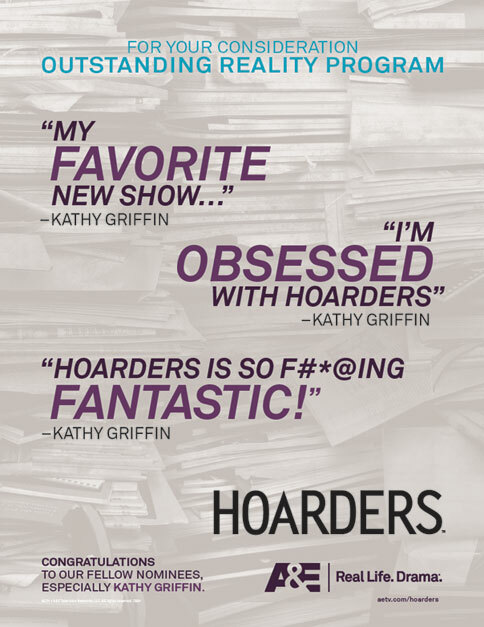 Here's a clip of Kathy talking about Hoarders in a recent Bravo special. The sound effects alone make me laugh.